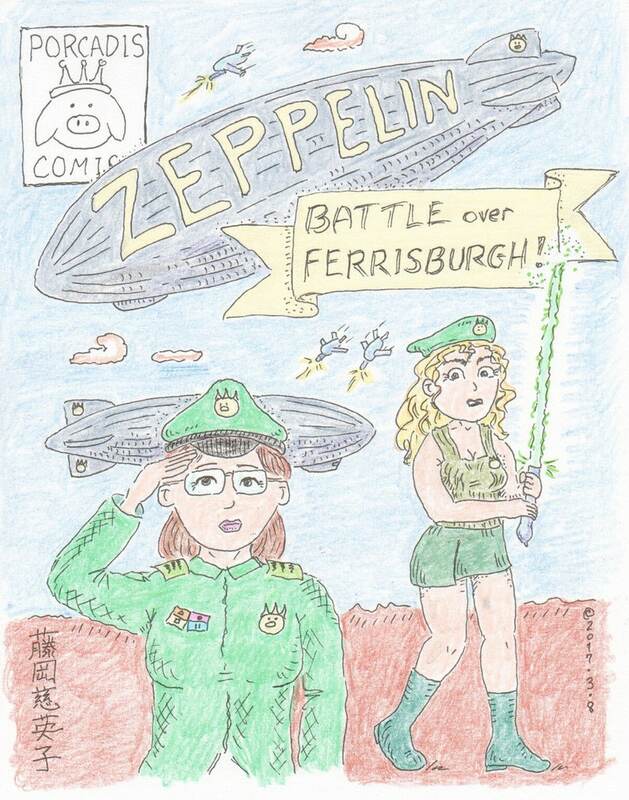 Part one of a saga where zeppelin fleets battle to put a stop to a civil war. Our heroes embark from the City of Porcadis to fly by airship to the capital city of Ferrisburgh, which has erupted into violence. En route they do battle with enemy zeppelin fleets. We meet for the first time the unflappable, daring, and brilliant Commander Hortense Nelson, who leads her ships into battle.